1Media timeline—you can play, code and annotate the media using the timeline. 3Transcript—you can import a transcript or play and transcribe the media in NVivo. What media file formats can I import? NVivo relies on the codecs installed on your computer to decode media files. If the required codec is not installed on your computer, you will not be able to import or play the file, even if it is in a supported format. 1. Start Windows Media Player (from the Start menu, click All Programs>Windows Media Player). 2. On the Help menu, click About Windows Media Player. If the Help menu is not visible, you may need to show the menu bar. 3. On the About Windows Media Player dialog box, click Technical Support Information. Your web browser will open a page that includes information about related binary files, codecs, filters, plug-ins and services installed on your computer. You may be able to see that the codec you require is missing or you might give this information to a technical support person to help troubleshoot your problems with importing and playing particular media files. If you know the name of the codec or its ID (Known as a FourCC identifier for video codecs or a WaveFormat identifier for audio codecs), you can try searching the Internet. You may be able to go to a codec manufacturer's website and download the most recent version of the codec. In Navigation View, click the name of the files folder that you want to import the audio or video into. (Optional) Change the name or enter a description of the audio or video file. (Optional) Click the Audio or Video tab to set options for storing the media file—you can embed it in the project or store it outside the project on your computer or a network. If you receive a message indicating that the media file cannot be imported, check that your media is in one of the supported formats. If the audio or video contains the responses of a particular case, you may want to code the entire media file at a new case node—click the More button, and then select the Code files at case nodes located under check box. The new case nodes are added at the root level of the Nodes folder, unless you click Select and specify an alternative location. If you want to classify the new case nodes—click the Select button and choose the classification. All attributes will be set to default values. You can import multiple files at the same time. If you want to edit audio or video material, you will need to do this before importing it into NVivo. For example, you might want to import only a short segment from a longer video, or hide the identity of participants. 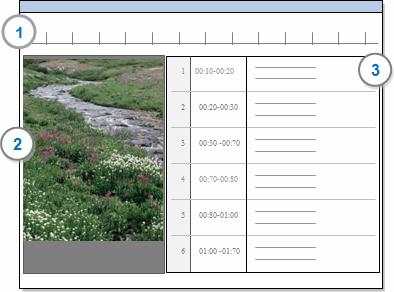 Determine what editing software you will use and check the equipment manuals for information about downloading media files from a recorder to your computer. Consider where you want to store your media files. If you are going to work with large video or audio files, you may want to store them outside of your project. If you want to create case nodes for your audio and video files as you import them, your files should be appropriately named. Create a transcript—you can transcribe the media in NVivo yourself, you can import an existing transcript, or you can have your media file transcribed using the integrated transcription service NVivo Transcription. If you don't need a transcript, you can leave it blank (and hide it if you want to). Annotate the media directly on the timeline or annotate text in the Content column of the transcript. You are working in the field and the media is stored on a network drive at the office. You are working with a video file containing YouTube content, but are not connected to the Internet. You can create an audio or video file without importing the media file. This is useful if you want to work on the transcript and import the file later on. In the blank area of List View, right-click to display the shortcut menu and then click New File > New Audio or New Video. In Navigation View, click the folder for the new file. On the Create tab, in the Files group, click Audio or Video. (Optional) Enter a description for the file. The new audio or video file is opened in edit mode and you can add content to the transcript. Open the audio or video file. On the Edittab, in the Import group, click Media Content. Click the Audio or Video tab. 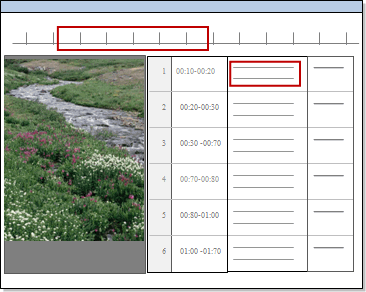 Under Media, click Not Embedded - file location, then click Browse to specify the location for the stored media file and click OK.
On the Home tab, in the Item group, click the arrow below Properties, and then click Update Media File Location. Locate and select the file in its new location. NOTE If you have moved a media file, an error message will prompt you to relink the file. In List View, select the sources that reference the relocated media files. Locate and select the new folder that contains the media files. NOTE A message is displayed listing any media files that cannot be found in the selected folder. You can still work with audio/video transcripts, even if the media is not available. Open the audio or video source. An error message is displayed. Select Work without media file. (Optional) Select the Remember this for current NVivo Project Session check box to work without any unavailable media files during the current session. A YouTube video is not embedded in the project or stored on your computer or network. The video file has a link to the video on YouTube. You need an Internet connection and Internet Explorer 10 (or later) to play the video in NVivo. You can still work with the video transcript (if you have created one) without an internet connection. You cannot display a waveform. You cannot adjust the playback speed. The video size always scales to fit the player window. NOTE You cannot embed a YouTube video in NVivo. You create a video file that links to the original content on the YouTube website. This is a restriction that is imposed by YouTube.